The participants at the conference Over a two day workshop the African Task Force objectives were to understand what the barriers of entry to the profession are especially relating to women and young people, to add value for participants through a learning experience to enable them to act as agents of change and to outline and develop a range of tools that are capable of being used by member associations that will make a difference in their recruiting strategies. This workshop brought together decision makers and practitioners from several African nations. The participants at the conference The International NSDI Conference was organized by the Agency for Real Estate Cadastre (AREC) and the Faculty of Civil Engineering. FIG and EuroGeographics were co-organizers. FIG was represented by Vice President Chryssy Potsiou, who presented the 2011-2014 Work Plan of FIG and its major targets. The conference was also supported by the World Bank, the Netherlands Kadaster, Swedesurvey AB, City of Skopje, GDi GIS Data, IGEA Mak, as well as by Asseco SEE. President CheeHai Teo attended the 44th Council Meeting of the ASEAN Federation of Land Surveying and Geomatics hosted by the Survey and Mapping Society, Thailand, an Institutional Member of AFLAG in Bangkok. Dr. Wicha Jiwalai, from Thailand and President of AFLAG, chaired the meeting. The Sixth Meeting of the International Committee on Global Navigation Satellite Systems (ICG) was held in Tokyo, Japan from 5 to 9 September 2011. The ICG has been formed as a result of recommendations of the UN Committee on the Peaceful Use of Outer Space (COPUOS), as ratified by the General Assembly of the UN. The International Federation of Surveyors (FIG) is an Associate Member of the ICG. The Empowerment of Local Authorities: Spatial Information and Spatial Planning Tools is the title of this years meeting and workshop. The aim is to study the impact of spatial information and spatial planning tools on economic, social and environmental aspects of local authorities in general, and on the empowerment of local authorities in particular. The aim is also to investigate the international knowledge and practice on how surveyors may assist real estate markets, good governance, environmental management and planning initiatives by providing reliable spatial and relevant infrastructures. Visit Web site and read full Invitation. 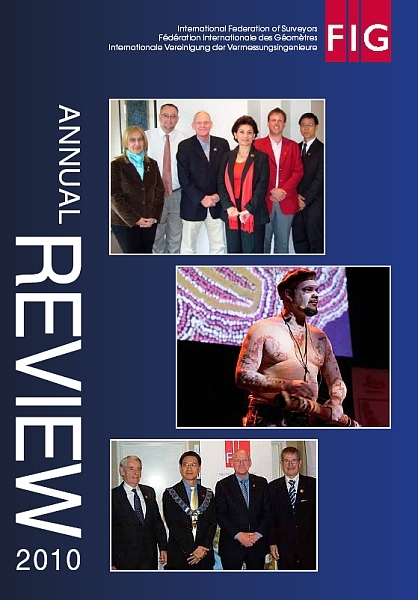 The FIG Annual Review 2010 is now available (32 pages, 3.55 MB) as a .pdf-file. Hard copies have been mailed to all members together with the minutes from the General Assembly in Marrakech. To receive your personal copy, please contact the FIG office, email: FIG@fig.net. The traditional Commission 7 Annual Meeting was be held in Innsbruck, Austria. As a part of the Annual Meeting, a one-day international Symposium on “Cadastre 2.0” was held 30 September 2011. Visit Web site. The third FIG Commissions 5 and 6 Workshop on “Innovative Technologies for an Efficient Geospatial Management of Earth Resources” will be held for the first time in Ulaanbaatar, Mongolia, 4-8 September 2011.The Workshop is organized by the International Federation of Surveyors (FIG), Mongolian Association of Geodesy Photogrammetry & Cartography (MAGP&C) and Siberian State Academy of Geodesy (SSGA). See invitation brochure. Commission 4 workgroup 4.4 on Capacity Building and the Economic Benefits of Hydrography has prepared a report to bring awareness and promote the role of hydrography as an essential investment in economic development. This FIG publication no. 57 provides a snapshot of the workgroup’s efforts from various conferences and symposia to stimulate thought and exchange ideas in this regard. 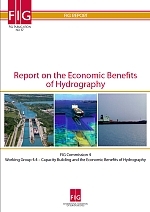 The publication Report on the Economic Benefits of Hydrography has been published in FIG report series and is available only on the web. Moroccan music entertained participants at the welcome reception. The FIG Working Week "Bridging the Gap between Cultures" and the XXXIV General Assembly was held in Marrakech, Morocco from 18 to 22 May 2011. The Working Week included also the 6th National Congress of the Ordre National des Ingénieurs Géomètres Topographes (ONIGT) that was the local host of the Working Week. Minutes without appendices as a .pdf file (21 pages) and with appendices (118 pages - 9.75 MB). Link to picture gallery. President Henning Elmstroem, DdL, Honorary President Stig Enemark and President CheeHai Teo, FIG. FIG’s 34th General Assembly saluted Prof. Stig Enemark’s contributions to the Profession and the Federation with an appointment as FIG Honorary President. The nomination came from the Danish Association of Chartered Surveyors (DdL), unanimously supported by the Council and President Henning Elmstroem of DdL made the recommendation before the General Assembly in Marrakech, Morocco. The General Assembly and the Federation thanked Prof. Enemark for an energetic and illustrious Presidency. FIG Working Week and General Assembly 2011 was held in Marrakech, Morocco 18-22 May 2011. Technical programme included more than 500 presentations in 90 sessions and forums. Palais des Congres, Marrakech The FIG General Assembly was held 18 and 22 May in Marrakech in conjunction to the FIG Working Week 2012. The main issues on the agenda were adoption of the Council and Commission work plans. These will be the roadmap over the next four years. As result from the break-out session focusing particularly on voting rights the General Assembly decided to establish a Working Party on this topic. Several new members were approved including member associations from Ethiopia, Liberia, Mali, Nigeria and Senegal. Report from the General Assembly is now available. Minutes without appendices will be sent to all members of FIG in June. The Local Organising Committee of FIG Working Week 2011 visited Marrakech 3-4 May 2011 to discuss the security and other last minute issues with national and local authorities. "FIG welcomes the efforts of ONIGT, the local co-organizer, to engage various authorities including the Ministry of the Interior and the Governor of the Marrakech Region to implement appropriate arrangements and measures aimed at assuring the security and safety of all participants at the upcoming FIG Working Week. FIG thanked the Moroccan authorities for their continuing support and assurances, as well as all the additional measures taken. We look towards a successful Working Week." ED Joan Clos, UN-HABITAT and President CheeHai Teo. President CheeHai Teo attended the 23rd Governing Council of UN-HABITAT in Nairobi 11-15 April 2011 and met with the Executive Director Dr. Joan Clos during his visit. President Teo made a courtesy call on Dr. Clos during the Governing Council; the meeting was also attended by Mr. Mohamed El-Sioufi (Head, Shelter Branch, Global Division), Ms. Clarissa Augustinus (Chief, Land, Tenure and Property Administration Section, Shelter Branch) and Mr. Danilo Antonio (Global Land Tools Network Secretariat, Land, Tenure and Property Administration Section). It was a most cordial meeting, the first between the newly appointed Executive Director of UN-Habitat and FIG. An e-consultation on the zero draft of the FAO Voluntary Guidelines on Responsible Governance of Tenure of Land and other Natural Resources will take place from 18 April to 16 May 2011. The e-consultation website and the zero draft will be available in Arabic, Chinese, English, French, Russian and Spanish. Comments may be submitted in any of those languages and will be hosted on the Voluntary Guidelines website (http://www.fao.org/nr/tenure/voluntary-guidelines/e-consultation/en/). The aim of the consultation is to gather comments on the zero draft of the Voluntary Guidelines and to allow interested parties who were not able to attend the regional consultations held over the year to contribute in the drafting of the Voluntary Guidelines. Comments from this e-consultation will be considered in the first draft of the Voluntary Guidelines which will be submitted in June to the open-ended working group of the Committee on World Food Security (CFS) for review. The work will peak in the CFS led plenary negotiations from 25-28 July 2011. Final text of the Voluntary Guidelines will be submitted for the consideration of the 37th session of the CFS in October 2011. As part of FIG/FAO co-operation agreement FIG is circulating this information to FIG members to allow them to comment this key document of FAO. FIG Council 2011-2014. FIG new Council and new Commission chairs started their four-year term of office 1 January 2011. The new Council is led by President CheeHai Teo and the members are: Vice Presidents Dalal S. Alnaggar (Egypt), Iain Greenway (United Kingdom), Chryssy Potsiou (Greece) and Rudolf Staiger (Germany) and Michael Sutherland (Canada/Trinidad&Tobago) as the ACCO Representative (2011-2012). The first task for the Council and Commissions is to finalise their work plans and prepare the Working Week in Marrakech in May 2011. Dato’ Prof Dr. Abdul Kadir Taib, Director General of Survey and Mapping Malaysia and Mr. CheeHai Teo, FIG President. On 3rd January 2011, Prof. Dr. Abdul Kadir Taib, Director General of Survey and Mapping Malaysia cordially received Mr. CheeHai Teo, FIG President at his office in Kuala Lumpur, Malaysia. The Director General also chairs the Land Surveyors Board, the regulatory authority for the land surveying profession in Malaysia. FIG President thanked the Director General for his continuing support for FIG and his attendance at the recent FIG Handover Ceremony. The Partners of the Global Land Tool Network met in Nairobi during November 2011 to fulfil a commitment to convene a Partner’s Meeting every two years. The meeting aimed to further strengthen partnerships towards sustaining the paradigm shift in the development and implementation of pro-poor land tools and approaches, and the adoption of alternative land tenure and land management systems to improve tenure security within the land governance framework. This was the fourth such meeting. Finnish stamps on Struve Arc. FIG Permanent Institution on History has worked to promote the positive image of the surveying profession and has introduced the Struve Meridian Arc at the World Heritage List of UNESCO. The Struve Arc has now been introduced on special stamps in both Finland, Sweden and Latvia. The Swedish stamp is showing a portrait of W. Struve and theodolite. The Latvian stamp is also covered with a portrait of Struve and theodolite with triangulation of Latvia and market stone. The Finish stamp is shown above. 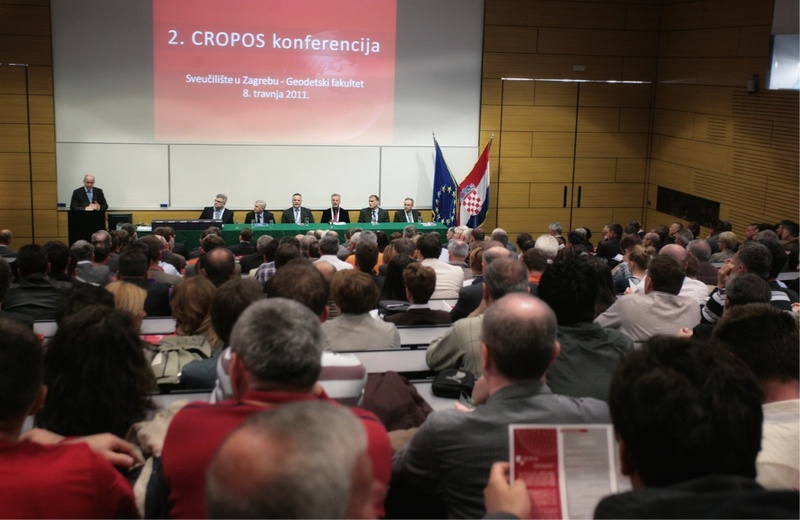 The 2nd CROPOS Conference was held on 8 April 2011 in Croatia organized by State Geodetic Administration and the Faculty of Geodesy of the University of Zagreb, in cooperation with the Croatian Chamber of Licensed Geodetic Engineers and Croatian Geodetic Society. The objective of this Conference was to familiarize the geodetic and wider public with the implementation of the new, official geodetic datum and plane cartographic projections of the Republic of Croatia as well as with the introduction and application of the T7D unique transformation model that was launched in official use on 31 March 2011, upon the decision by the Director-General. There were many international invited lecturers and interesting presentations.